A friend of mine introduced me to Parwana many years ago and I fell in love with their home-style Afghani food, so when I heard that they’d opened a deli outpost in the city I had to try it! I love that it has remained a family-run business with the expansion, and they’ve upped their decor anti with incredibly vibrant blues and teals at the Ebenezer Place location. There are no reservations, so we planned to arrive as they opened for lunch on a Sunday. The strategy worked – we were the first to arrive behind a couple of locals who clearly know the staff (always a good sign). 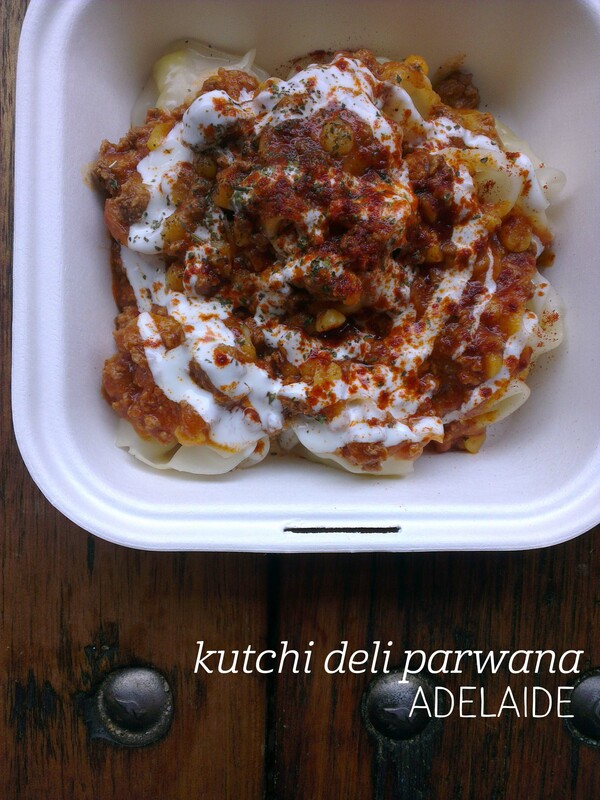 I’d already decided to order the mantu, Afghani dumplings served with lamb mince and yoghurt, and we added a lamb mince bolani to our order to be adventurous. 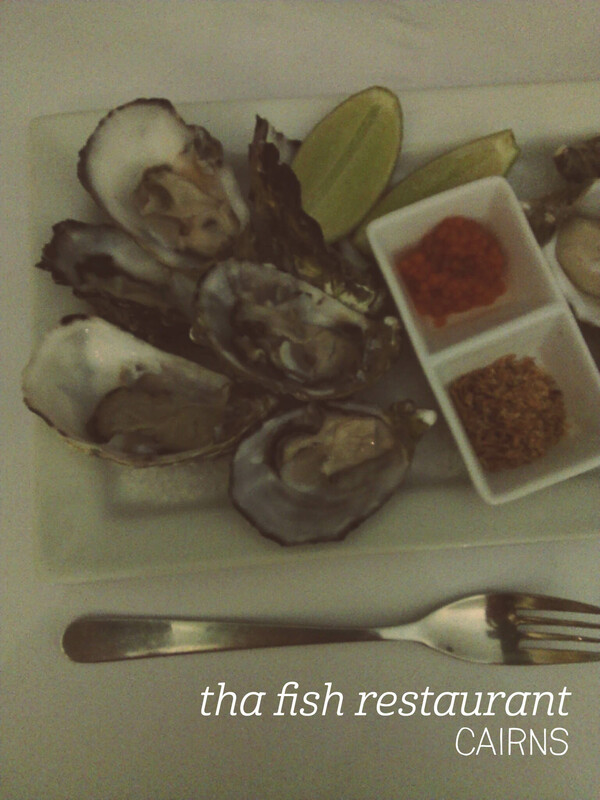 Both dishes were mind-blowingly good. And I mean, lick-the-bowl, write-home-about good. The mantu were soft and beautifully balanced – stuffed full of onion and carrot, coated in a tomato-based sauce with mince and lentils. The bolani, an Afghani flat-bread, was filled with mince and veggies, and came with a divine mint dipping sauce that brought the whole thing to life. Let me repeat: incredibly, incredibly good. Please eat there. ¥1000 is a lot to pay for one piece of cake, and when I was a student in Tokyo I could only bring myself to do it twice – once with friends and once in a train station when I’d arrived three hours early for my train (oops). Both times it was from Cafe Comme Ca, and both times it was worth it. So when I went back to Tokyo I made sure to stop in again and try another slice. Each cake is sculpted with fresh fruit into rosettes or other incredible arrangements – I recommend taking some time to look at the display cabinet before making a choice (fair warning though – the staff, sadly, won’t let you take pictures of the whole cakes). This time I went for the blood orange and raspberry cream cake, which came out on a plate with cocoa dust in the shape of bluebirds (swoon). The fruit was juicy and covered in a sweet glaze, and the cream was light and not too rich. 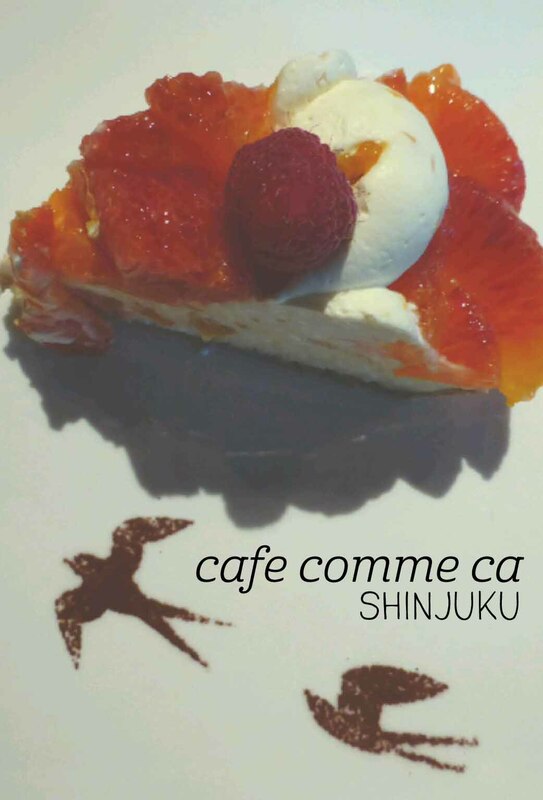 Western-style sweets in Japan are often sickly sweet, but Cafe Comme Ca gets the balance (and the beauty) just right. 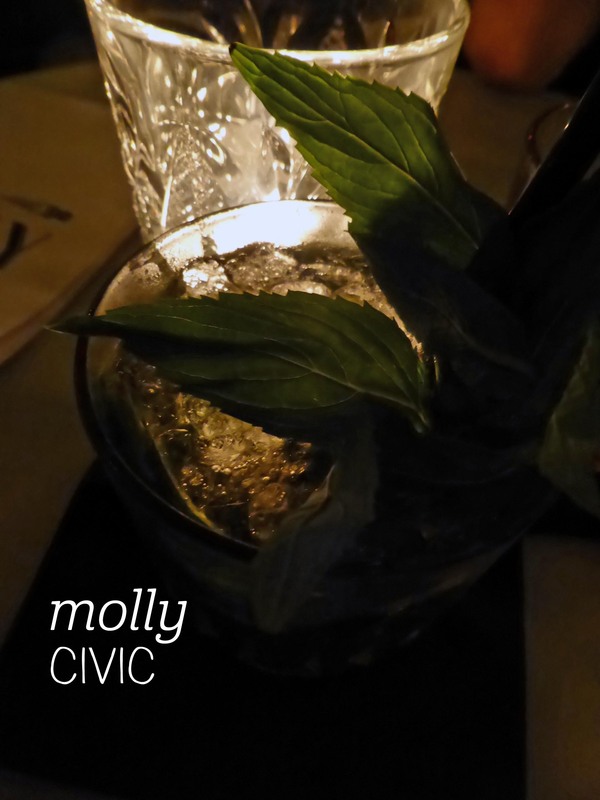 There’s a real sense of adventure arriving at Molly, Canberra’s own speakeasy. I’d agreed to meet my friend there on a Friday after work as we’d both heard good things but never been. When you do a google search, all that comes up are co-ordinates to put into your GPS. It’s like going on a treasure hunt, except you find a big wooden door instead of an ‘x’ to mark the spot. The temperature drops going down the stairs, but you emerge into a gem of a bar. The tables are close and cozy, the bar is the only well-lit section and there’s a charcutrie for high-end snacks in the back corner. The vibe fantastic – the low lighting and small space does make you feel like you’re back in the prohibition era, and the fitout is fashionable without being cold. I ordered a mint julep and a toastie to snack on. The drink was small but packed a punch – garnished with fresh mint and well-crushed ice, the amount of bourbon in there isn’t for the faint-hearted. The toastie was more of a gourmet sandwich made to perfection with jamon and pickles amid the oozy cheese. Highly recommended for a classy night out. After lunch at Bent Spoke, we went into town in search of icecream to make the most of a sunny spring afternoon. 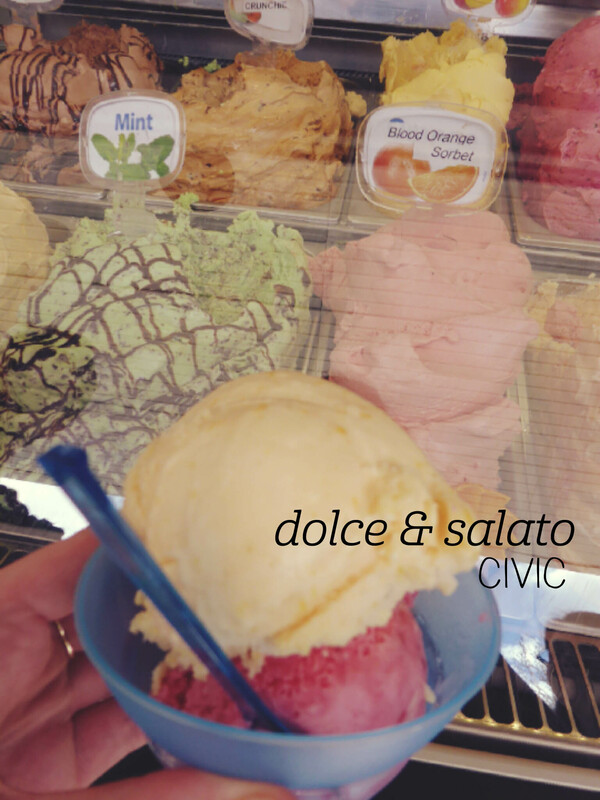 Wanting something a bit more special, we opted for Dolce and Salato over Gelatissimo in the Canberra Centre. I’d never had anything from D&S before, and was pleasantly surprised by the range of gelato and sorbet flavours available. I will always pick fruity over chocolatey, so went with the peach sorbet and raspberry sorbet, wanting something refreshing. It was a good choice – the raspberry was nice and tart, but the peach was the standout, somehow managing to convey a really strong peach flavour. The sorbets had substantial texture – they weren’t too smooth, and were just what we wanted on a warm arvo. A friend chose the most exotic flavour on the menu – prickly pear – and was rewarded with what was probably the nicest flavour. Definitely a place worth being adventurous at. Note – their website claims that a ‘woodfired breakfast menu’ is coming soon. One to keep an eye on. 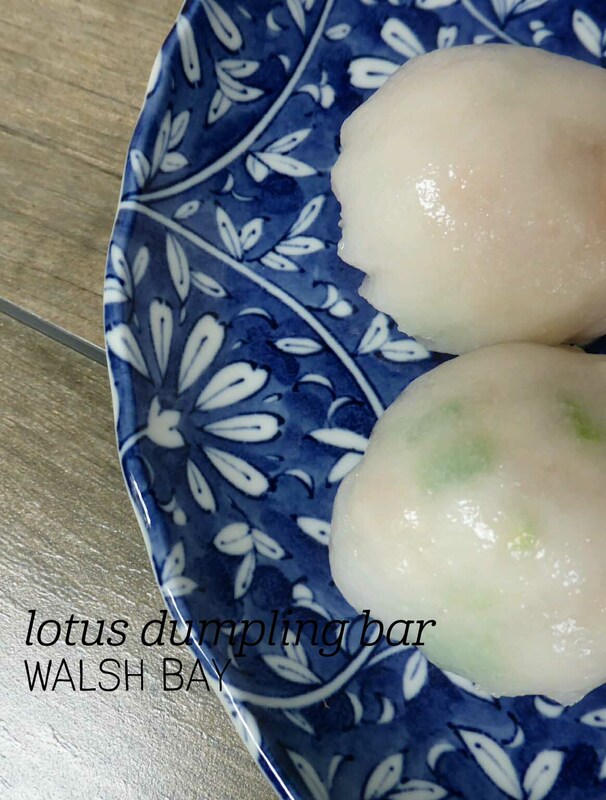 I really like Sydney’s Walsh Bay precinct – there are some lovely little places near the Sydney Theatre Company theatre, and Lotus Dumpling Bar is probably one of the loveliest. A hole in the wall place with limited seating, Lotus is beautifully decked out with calligraphy on the walls and elegant crockery, plus a couple of hanging plants for good measure. I’d heard that the Xiao Long Bao are excellent here, so that was my first pick. They came out steaming hot, bulging with soup and bursting with flavour – definitely a winner. Next up were the prawn dumplings, which had a generous amount of prawn inside and a crisp, clean taste. Finally, we had pork and prawn wontons in spicy sauce, which were again super flavoursome; the soup was well balanced and not overly salty. One of the highlights of the dumplings here is the skin – springy, soft and chewy, the texture is the best I’ve encountered in Australia. I’d recommend booking to secure a spot at this lovely little dumpling bar, it’s well worth a visit. 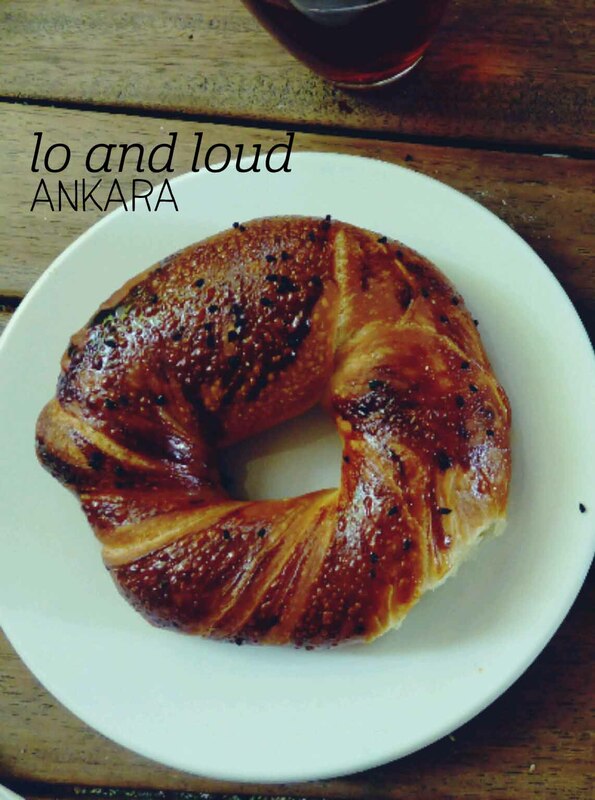 Lo and Loud was my local breakfast place for the two days my colleague and I spent in Ankara. Within walking distance of the hotel and stocked with incredible, mouthwatering pastries, it was no hardship to pop down for breakfast in the mornings. Turkey seems to run on tea (çai), and I had my first taste of it here. As someone who usually drinks black tea, I quite enjoyed the brew with one sugar to counteract the bitterness. We tried a variety of savoury pastries across the two days, although never reached the point where I knew their names. Favourites included a slice that was filled with meat and potato (served warm), and a glazed bread topped with black sesame seeds – simple but tasty. We were lucky enough to meet a Turkish gentleman who spoke fluent English on the first day, and he graciously talked us through the pastry options and then ordered for us – hospitality is flawless in Turkey. We were delighted to see him again on the second day, where he repeated the favour. Obviously Lo and Loud was his local too, and I can understand why.